Dave Wavra owner/operator of Oak Lane Farms and Wavra Farms. Oak Lane Farms has been in the Wavra family for over 45 years. 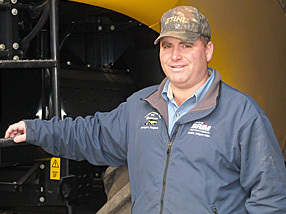 Current owner/operator Dave Wavra grew up helping on the farm and eventually took it over from his father, who established it with Dave’s mother. When they made the decision to farm full-time, Dave’s parents rented a piece of land from his grandfather and Oak Lane Farms was born. Adding land to the operation whenever they could, the Wavras were eventually cultivating about 1800 acres of owned and leased land over 32 miles. Most of their diverse collection of crops supplies local processors Norpac Foods and Truitt Bros. 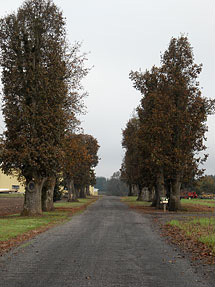 The remaining ground is planted to grass seed and wheat, and the Wavras added filbert trees in 2010.